I decided to do one all-encompassing post of the deals and savings I’ve gotten between late November up to now, instead of doing individual posts. I haven’t gotten coupons in two weeks, and I don’t have immediate plans to do any more couponing before the end of the year, so consider this my 2014 Couponing Wrapup! 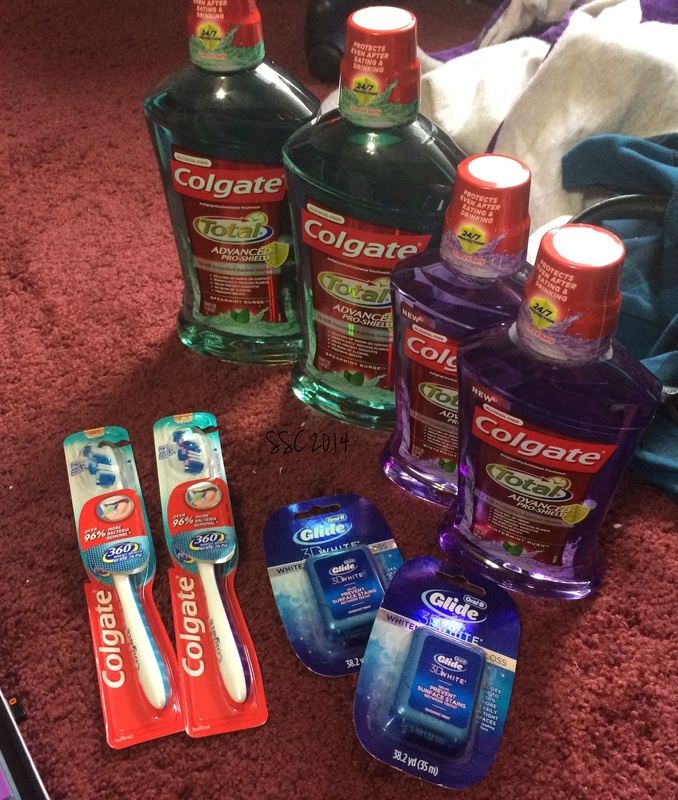 During November, I finally got some of my favorite toothpaste into my stockpile! I also utilized those BOGO coupons for the Vaseline lotion, and bought some nail polish last minute. I paid $4.49 for the aloe lotion, and then the spray lotion was free after coupon. I purchased a photo for a Christmas gift/project, and it only cost me $0.16 at Walgreens! Even with a coupon code, this was way cheaper than CVS (I try to get most things there for the Extrabucks and discounts). The rest was part of a larger CVS transaction. I bought 2 Tom’s of Maine toothpastes on sale at 2/$5 (used two $1/1 coupons), 2 Caress body washes since they were BOGO Free that week (used two $0.50/1 coupons and a $2/$10 body wash CVS coupon), 2 Covergirl Glosstinis (on clearance, used a $2.50/2 coupon), a bottle of Palmolive dish soap for $0.99 (stacked $0.25 coupon with $0.25 CVS coupon), and 2 Degree Men deoderants for my boyfriend that were also on clearance (used two $0.50/1 coupons, and a $5 Beauty Club EB). In December, I didn’t do much couponing, and as I said before, I’m pretty much done for 2014. 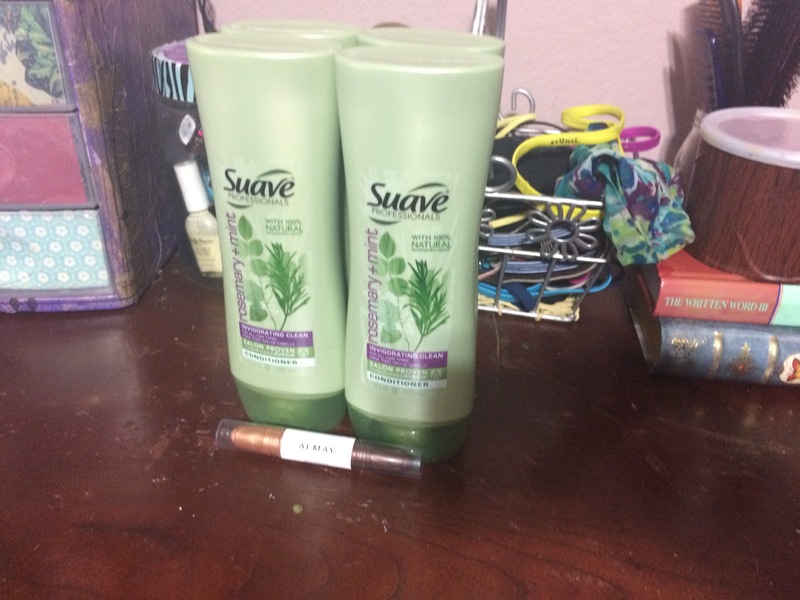 I used four of the $1.50/1 coupons for the Suave Professionals and scored four FREE conditioners at the military commissary. The price had dropped from the last time I used these in November ($1.79 down to $1.39). The Almay eye makeup (for blue eyes, which I don’t have!) was a “couponing without coupons” purchase. I LOVE those!! I always seem to save more when I leave my binder at home and rely on sales and store coupons. A $3/1 Almay coupon printed for me, and I grabbed this eye makeup because it was on clearance for $4.15! Thanks so much for reading, and I hope you enjoy your weekend! And to you college people out there, were you ready for this month off or WHAT?! Used two $0.50/1 coupons for the floss. 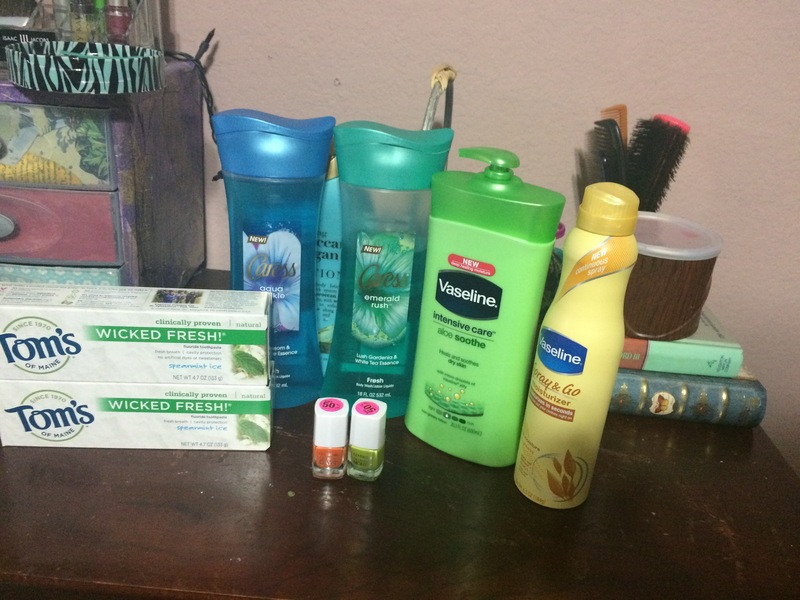 In total, I spent $9.81, earned $11.00 in Extrabucks, and got $47.23 of oral care products (and misc.). My net came out to be $0 thanks to those earnings, so go me for getting “free” stuff this week! Thanks so much for reading and I hope you enjoy the rest of your week!